The Machguard range of Split Bellows is designed for retrofit application. 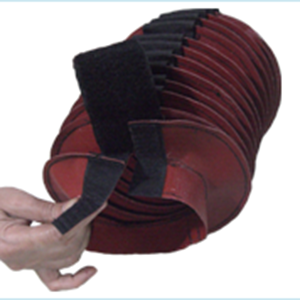 In either Velcro tabbed or metal clipped form, dependent on the environment of use, these bellows are comparable with our standard range of sewn or folded bellows, but are more compromised on closed length. Easy to fit in both forms, durable and protective, without the need of lengthy and expensive dismantling of machinery.